As we move in the techosystem, it is soothing that a lot more attention is being paid to the participation of women. Before now, the tech space, at least for Africa, has always been male dominated. While it still is, there is some progress from the opposite gender, and programs like this help improve that. She Loves Tech, which is a global initiative aiming to showcase the convergence in the latest trends in technology, entrepreneurship, innovation and the opportunities it creates for women, is leading the world’s largest startup competition focused on women and technology. 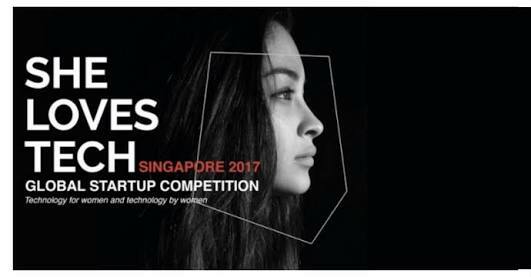 She Loves Tech 2018 Global Startup Competition is an exclusive one for women impact and women-led tech startups. The event is Co-organized by She Loves Tech, APYEF, Chinaccelerator, CIRCLE, EV Hive, Lean In China, Lean In France, Lean In Hangzhou, Lean In Shenzhen, QBO, Shenzhen Women Leadership Development Association, TaXing, WeThinkCode_, and Yazamiyot. Taking place from June to August, in 14 locations worldwide. The different locations would have local round winners who will be beneficiaries of a trip to Beijing, China to compete in the global final at the International Conference on September 15, 2018. They will also attend a high-level boot camp to meet China’s leading tech companies. Several investors including Teja Ventures (which focuses on women) would be present at the event. So, are you are a woman entrepreneur or your product or business positively impacts women, APPLY HERE. *Registration deadline varies depending on round location. Funding Opportunities Beijing, China, She Loves Tech. permalink.